A well known philanthropist, Coram had great moral values and was well-liked and respected for being down-to-earth and generous. Hogarth paints Captain Coram with a very self-assured expression, as a man who is proud to have upheld his moral values and used them to make himself a success. Hogarth paints him smiling, happy and with a warm inviting expression unto the viewer, presumably as Hogarth found him to be in the flesh. A profitable seaman and shipbuilder Hogarth incorporates nautical symbolism into this piece. To his left Hogarth shows the London harbor conveying Coram's previous successes at sea. The window faces the ocean, littered with numerous ships to show his wealth and success attained through his ship building and trading business. In his hand lies the seal of the Royal Charter, the document itself he attained from King George to open up The Foundling Hospital, conveying his most recent achievements and those which would make a memorable figure in history. The globe to his bottom right is showing England and North America. England had established its colony there and this area of the world had played a big part in making Coram's fortune as a ship builder. Captain Thomas Coram is the main focus of this portrait and Hogarth uses symbolism and skill to demonstrate to the viewer not only his achievements in life, but also his character. As opposed to Hogarth's morality paintings there is no ongoing story within this piece; instead of a series of works there is only one, albeit life-size, representation of the main character. This means that Hogarth has to use different methods to portray information to the viewer. The portrait of Captain Coram was not created as a commission; instead it was a donation to Coram's Foundling Hospital (not the Foundling Museum) of which Hogarth was a governor and a high profile supporter. Coram set up the hospital to help the many abandoned children left on London's street every year. Hogarth, having no children of his own, worried for future generations and left this portrait along with many other works as a contribution to the children and as an advertisement for the hospital. The artist's involvement led him to produce numerous paintings for fund raising exhibitions at the hospital. Thomas Coram's reputation must also have been attractive, as he was very well thought of within London society and was a good friend of Hogarth's at the time. Hogarth was impressed by the captain's generosity as it mirrored the moral code which he himself tried to instill in all his paintings. 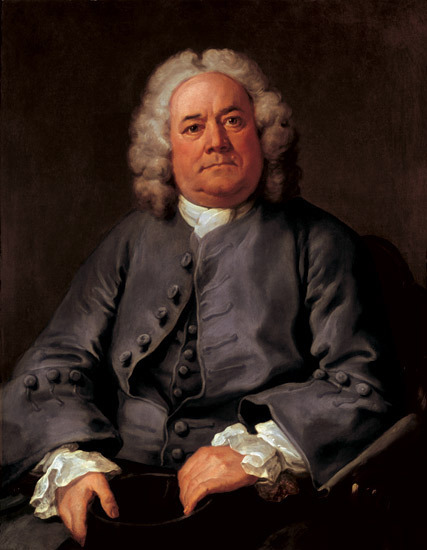 Hogarth became friends with Coram and admired his work so much that he produced this portrait for free. The portrait portrays Coram as a straightforward man, with little of the trappings of aristocracy, his own grey hair clearly on display rather than wearing a wig. His work with the Foundling Hospital is also represented in the painting, as the deeds to the building lie on the table to one side. Hogarth's close friendship with the captain and his involvement with the Foundling Hospital meant that he wanted to portray the sitter in the best light, which he undoubtedly deserved. 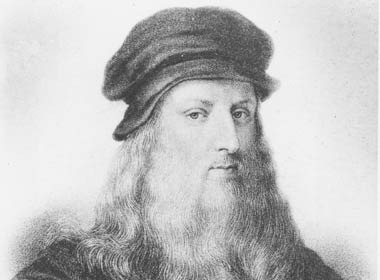 In his one words this portrait was one he: '.. Particularly wished to excel in'. 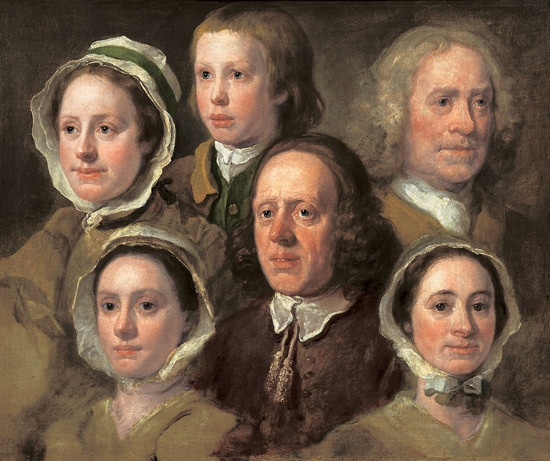 Perhaps another reason to take on this project was to publicize Hogarth's work as a portrait painter. A successful portrait in a high profile, public building would be a sure-fire way to secure work in this field, and it certainly worked for Hogarth. 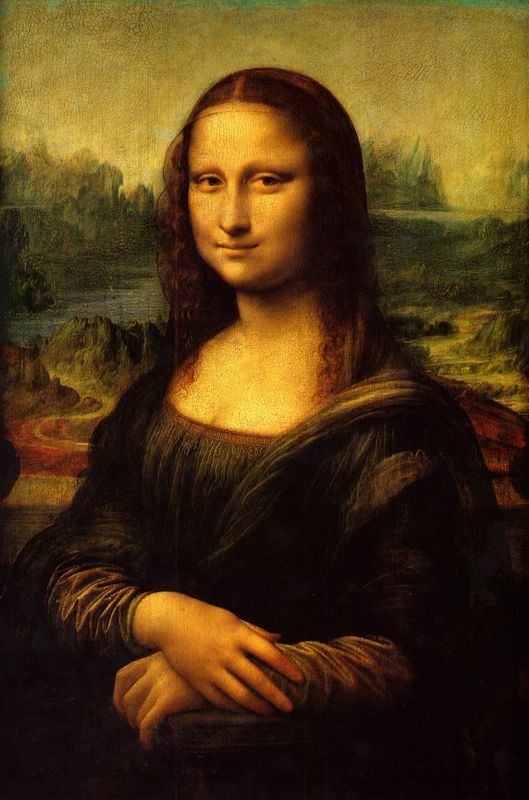 Although he had made good money from his engravings, portraiture was still the most popular form of painting within the upper classes of English society, and could be very lucrative. The style in which this portrait is painted is very derivative from the old Renaissance masters that Hogarth had previously verbalized his hatred for. 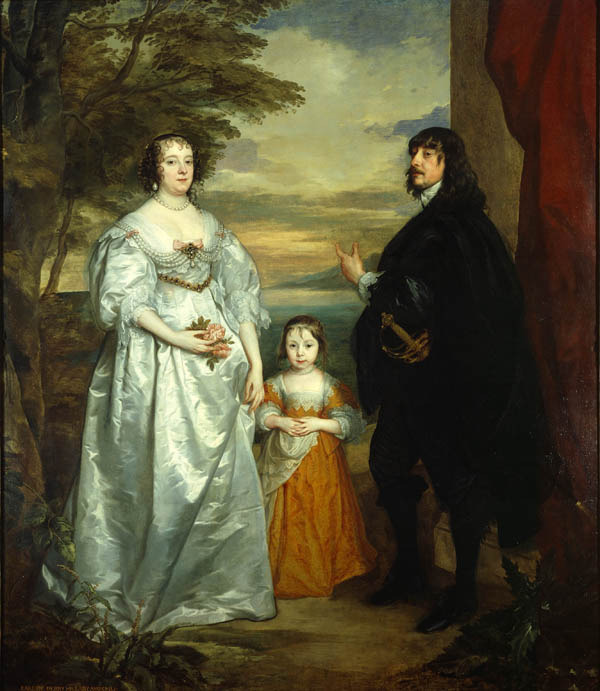 In fact Hogarth openly compares this work with that of van Dyck, confident in his abilities to better it he wrote: '(Hogarth could)... paint a portrait as well as van Dyck'. 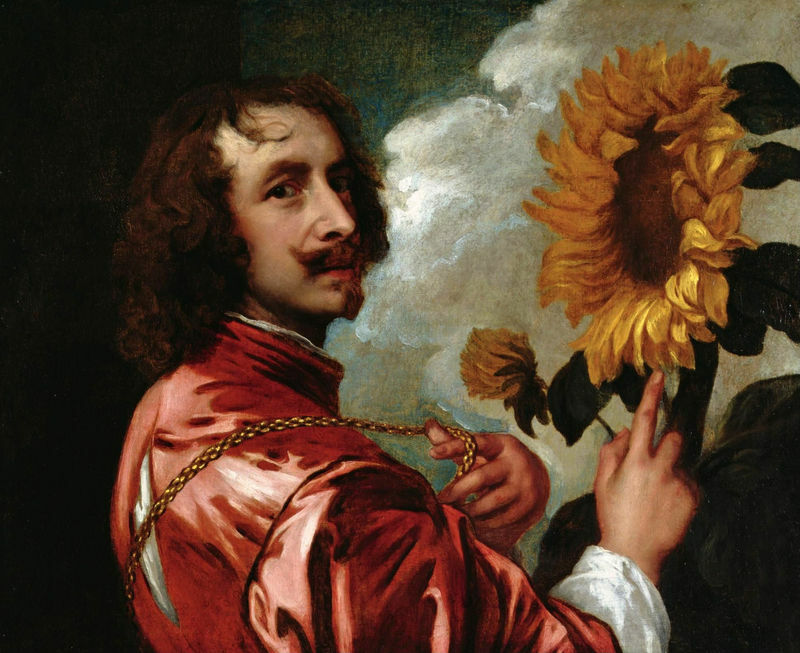 The brush work here certainly looks to imitate that of van Dyck. The paint is thinly applied and the colors were already mixed on the palette before being applied to the canvas. The most striking color within this portrait is the deep red carmine which was muted down several tones to make it more natural and coherent with the natural light entering the composition from the nearby window. The brush work here looks to imitate van Dyck and is smooth and thinly applied. The colors were probably already mixed on the palette before being applied. For the seascape to the left Hogarth puts random lines over the grey-green evening sky but this created a more natural effect as embers of orange streak across the horizon. Hogarth uses symbols that are well recognized to convey a sense of meaning and illustrate the character and purpose of the sitter. As a half-read book lies open at his feet next to the globe which sends a message to the viewer showing what a well read and educated gentlemen Captain Coram is. This conveys his aspiration for more knowledge. Hogarth produced this portrait of Captain Thomas Coram as a gift to the subject, to be hung in The Foundling Hospital for abandoned children. It was also displayed in the annual exhibitions there, designed to raise funds for Coram's organization, along with other works other influential artists of the period. Hogarth himself was very pleased with this portrait and wrote in his autobiographical notes:"The portrait which I painted with most pleasure... and if I am so wretched an artist as my enemies assert, it is somewhat strange that this, should stand the tests of 20 years competition, to be generally thought the best portrait in the place." 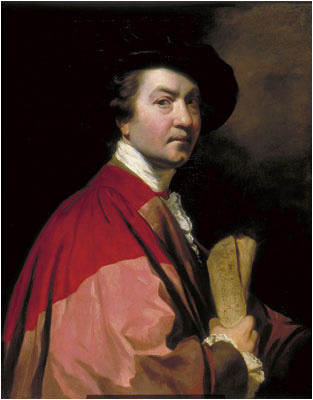 In his book 'William Hogarth' Dobson suggests that although Hogarth was right in his assertion that this portrait was not rivaled by any other at The Foundling Hospital, and nor has it been since, it is important to note that work by Reynolds in particular was not of the standard usually produced. 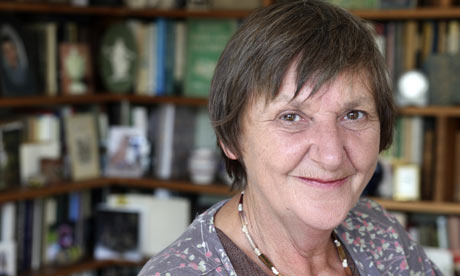 Jenny Uglow in an article in the Guardian Newspaper, UK, 2007: " (Hogarth's) great portraits of the 1740s, clear, bold and moving, do not, on the whole, show the fashionable world, but the professional and commercial classes he knew well, all portrayed with a moving directness and consummate skill." When it was first presented at The Foundling Hospital in 1740 this painting was generally very well received. Hogarth certainly gained several commissions for portraits of other distinguished people connected with the hospital due to the success of Captain Coram. In the 1740s Hogarth moved from his very popular morality paintings onto portraiture. As he developed as an artist Hogarth wanted to prove his skill and establish himself as one of the first great English artists. The portrait of Captain Coram was one of his first forays into this genre and its success lead to other portraits being commissioned. Below are some examples. Hogarth's portraits not only show skill but an uncanny ability to capture the character of the sitter upon canvas. This portrait of George Arnold to the left is certainly no exception and although smaller in scale than some of his other works, it captures Arnold's forthright and no-nonsense attitude. Arnold was also a governor at The Foundling Hospital, and made his fortune as a merchant. 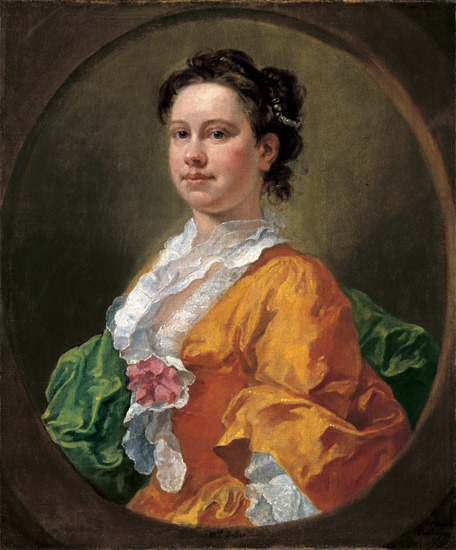 Hogarth's female portraits followed much the same style as their males counterparts and this example, Mrs. Slater, further demonstrates his skill at not only capturing character through pose and dress, but also through his use of paint and brush stroke. In this work he uses free flowing strokes and although Mrs. Salter is dressed appropriately, as an 18th century upper class lady, Hogarth depicts her as free from pretension and airs and with great sincerity. Given as a donation to Coram's Foundling Hospital in 1740, this work has stayed in the hands of what is now known as the Coram Foundation, a registered charity. The painting was moved when the hospital was demolished in the 1920s and the Coram Foundation moved to another location. It now hangs in The Foundling Museum in Brunswick Square, London, as a testament to Hogarth's skill and the legacy of Thomas Coram. William Hogarth produced Captain Thomas Coram in 1740. 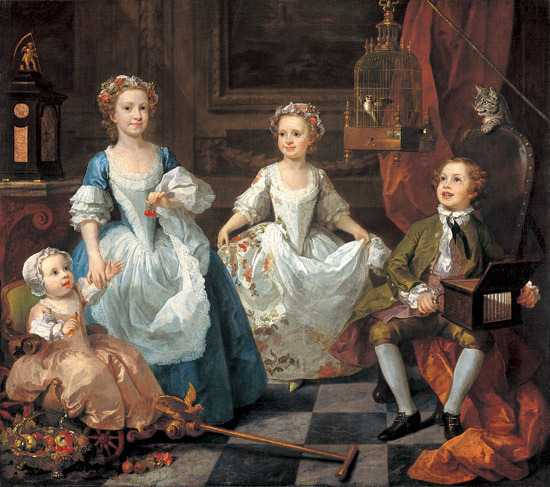 During this point Hogarth was at the height of his artistic powers and had gained a large amount of kudos from his earlier morality paintings. Hogarth saw portraiture as a way of legitimizing his career in the eyes of the art world and although he always criticized the genre and the painters who made money from painting the faces of the rich and elite, he also wanted to prove that he was as good an artist as them. 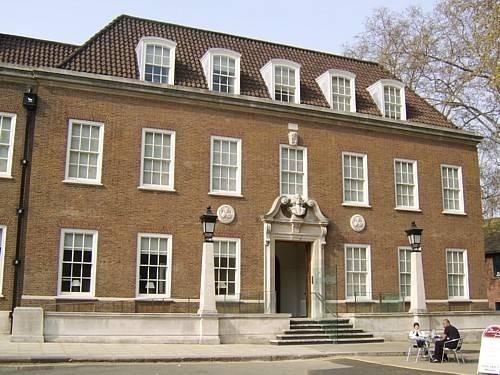 He became a good friend of Coram and a governor at The Foundling Hospital when it opened in 1745. Hogarth was a firm believer in sketching people and objects from everyday life and as a boy would go to fairs in London and sketch the people he observed. Although Hogarth was a skilled portrait painter he became famous for his engravings which were sold in large numbers to people who would not have been able to previously afford art. William Hogarth will be remembered as the father of satirical caricatures and moral paintings, a genre which would later develop into cartoons. His determination and stout middle-class values made him one of the most innovative artists of his generation and he brought art to the common man for the first time in history. 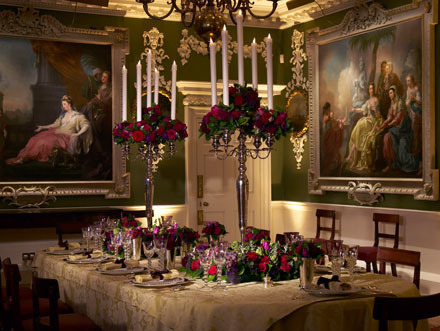 Hogarth lived and worked during the Rococo period in 18th century London. The Rococo style was popular in both England and France at this time and was embodied by flowing lines and intricate decoration. The London social scene that features in so much of Hogarth's work ranged from super-rich aristocrats living flamboyant lifestyles to the incredibly poor working-classes with no money and little hope for a better life. Rather than be influenced by many of the artists who had gone before him, Hogarth, a true innovator, tried to create a new school of English painting to rival the Old Masters of the Renaissance, such as Leonardo da Vinci and masterpieces like the Mona Lisa. In fact, rather than be influenced by their work it has been suggested that he often ridiculed them. Far from being a positive influence, this style of painting pushed Hogarth to produce work of a completely different genre. Technological advances were very influential in Hogarth's success and without the further development of the printing press his work would not have been anywhere near as lucrative, as it wouldn't have been accessible to people from the middle and lower classes. As one of the first British artists to be recognized throughout Europe, Hogarth became a major source of inspiration to other artists. During his lifetime artists and satirists such as John Collier emulated his satire and reflections of everyday life. In the 19th century the Pre-Raphaelite brotherhood was inspired by Hogarth's use of symbolism and text to convey a moral message. However it is possibly the biggest testament to the artist's skill and wit that the new medium of the comic strip arose from his work, a genre which is still popular today. For further reading on William Hogarth please choose from the following recommended sources.